This is a sponsored post by Bertolli®. All opinions are my own. 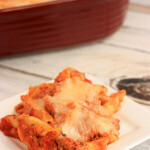 This Italian Pasta Bake is an easy pasta casserole recipe to make for dinnertime! Dinnertime is our family meal time. It is the meal that we sit down together, eat, and chat about what is on our minds. My favorite food to cook for our family dinner usually involves pasta. I would guess we have pasta at least once a week. Italian style foods are my comfort foods. 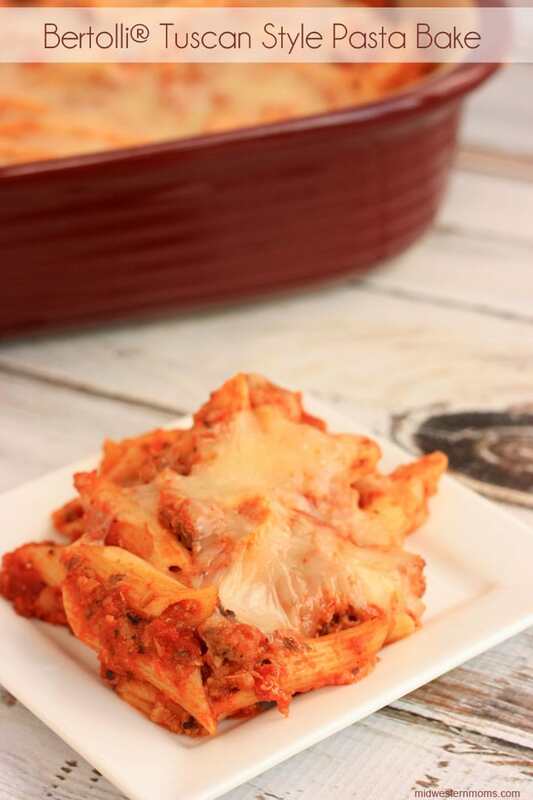 One of my favorites to make is Bertolli® Italian Pasta Bake. This recipe is extremely easy to make, which is why it is one of my favorites. We usually eat this pasta bake with a side of garlic bread with cheese and green beans. Nothing can top that in my mind. I will sometimes switch up the meats in this recipe to give it a slightly different taste. I choose from pork sausage, Italian sausage, pepperoni, turkey, and chicken. Just changing the meats creates five different recipes! 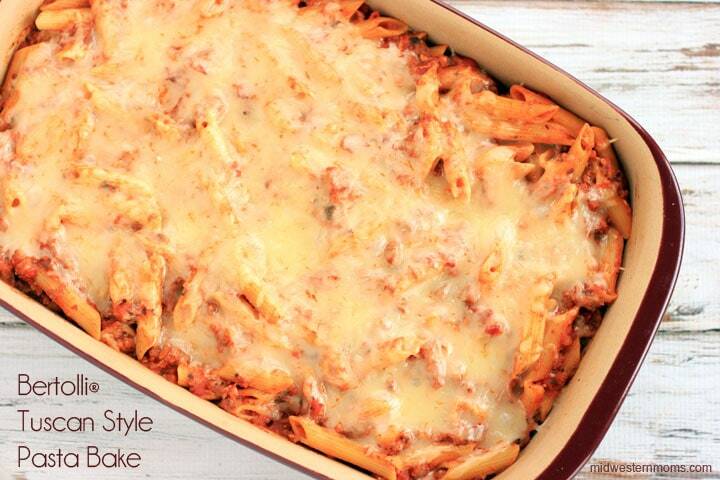 This Berolli® Italian Pasta Bake recipe easily feeds our family of four for several meals. This would be perfect for a larger family or if you plan to have some dinner guests. Also, if you are like me and enjoy cooking a large amount of food, it will allow you to cook less and spend more time with the family. 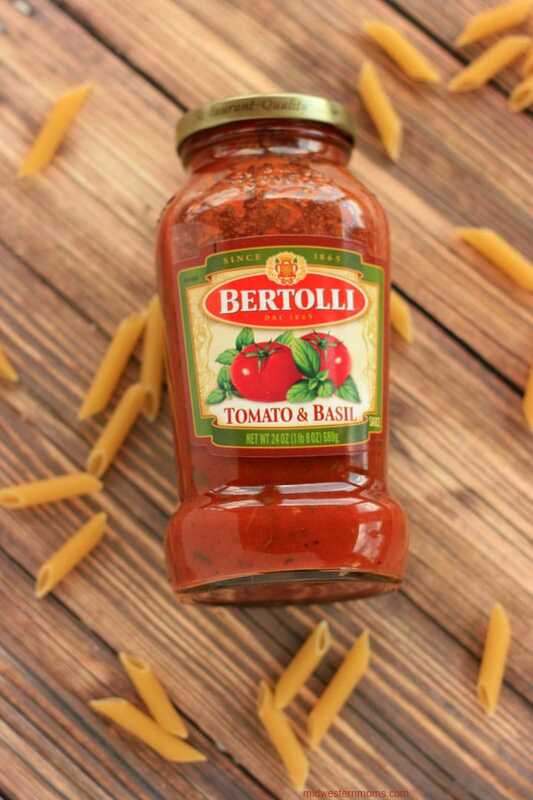 The Bertolli® Tomato & Basil Sauce has the perfect blend of spices that makes this dish stand out. Easy and delicious dinnertime meal. In a large bowl, mix together the port sausage, penne noodles, 1 1/2 jars of Bertolli®, and 1 cup of mozzarella cheese. Once thoroughly mixed, place in a 13 x 9 baking dish. Add the remaining mozzarella cheese to the top of the pasta. Bake at 350 degrees for about 10 minutes, or until the cheese is melted. Adjust the amount of sauce and cheese to your taste. See, I told you it was an easy recipe to make and it tastes so good! Viva Bertolli® and join me in celebrating 150 years of delicious Italian food, friends, and family. Felice Anniversario and Buono Appetito! Visit Bertolli® on Facebook, Pinterest, and Twitter for more inspirations and ideas to bring Tuscany to your table. Oh boy, that looks fantastic! This is one of my favorites to make and give, but I’m lazy so I don’t bother cooking the noodles. I just cover it with foil and bake ten minutes longer. You crack me up Mary! I am glad you like recipe. I never thought about not cooking the noodles. Thanks for the idea! LOVE your pictures for this post. This is a standard at our house, too! There is something about pasta and cheese that makes it pure comfort food. Maybe because it is so satisfying and delicious. 🙂 This is the kind of dish I like to make for potlucks or to give to someone who needs a break from cooking dinner. Everyone loves it and it freezes well too. Oh, now this looks fantastic! We love Bertolli in our house. Such a great sauce, perfect for recipes like this! This looks delish and easy to make after a long day. I will definitely try it out. I’m making this for dinner. Thanks for posting.